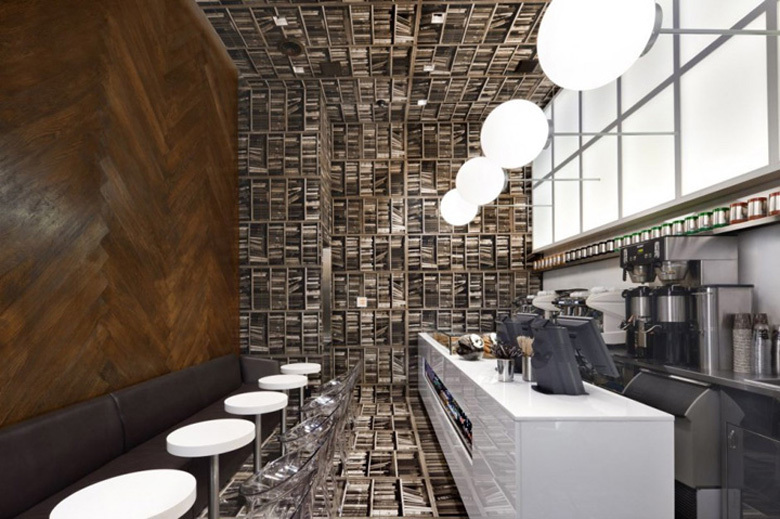 Nema Workshop have completed the interior design for a small cafe in New York City, where they took the concept of a library and turned it sideways. 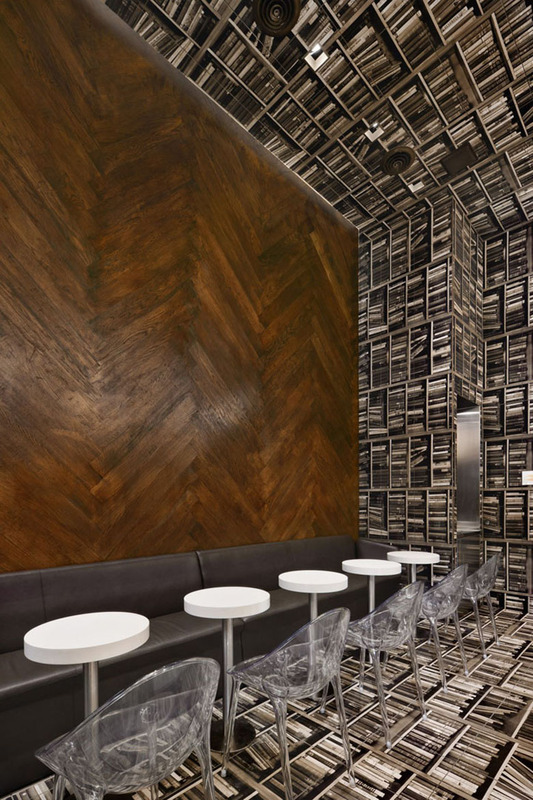 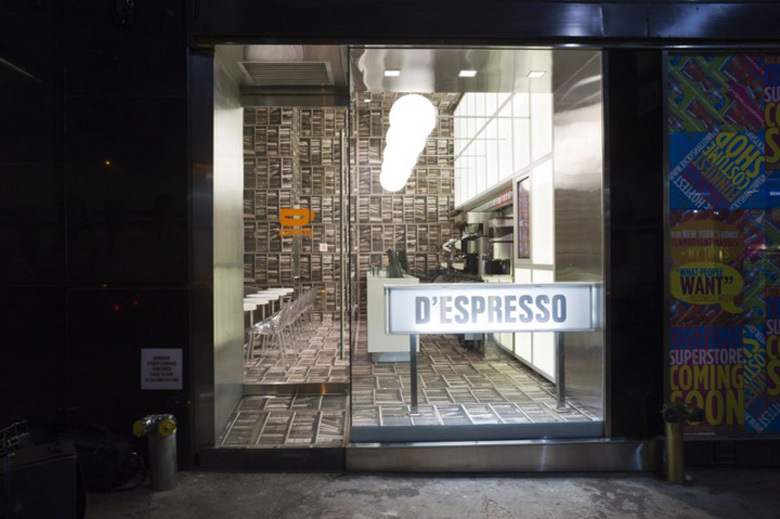 Located on Madison Avenue, the espresso bar conceptually and literally turns a normal room sideways, creating a striking identity for the emerging brand. 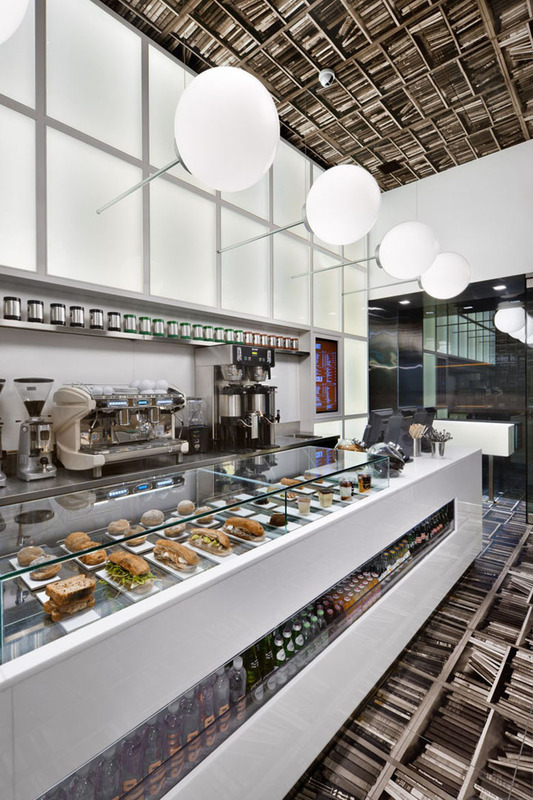 The client approached nemaworkshop with an ambition to build a unique espresso brand and to develop a creative environment that connects to its location on Madison Avenue near Grand Central Station.